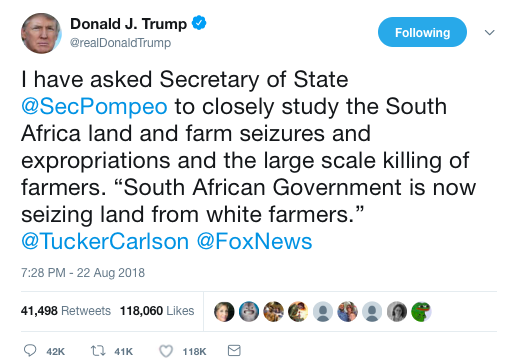 Those anti-white leaders and their followers base their comfort with their country’s genocide of white farmers on the lie that their own forebears occupied the South African land when whites first arrived there. We do offer a caution: our great sympathy and concern for our racial kin in South Africa must not blind us to the fact that there’s a much larger and much more lethal White Genocide that’s being carried out in majority-white countries world wide today, by massive third-world immigration and forced assimilation. Just as with the genocide of white farmers in South Africa, the manufacture of justifications for that larger genocide (as if there can be justification for any genocide) keeps an industry of anti-white “intellectuals” in rich clover. The White Genocide that’s being carried out world wide today is being carried out by flooding majority-white countries with millions of non-whites and forcing assimilation of whites with those non-whites through laws and propaganda, which will result in whites being inter-bred out of existence or reduced to a very small number. Queen Ann (or “Iron Ann,” as some pro-whites are calling her this morning!) points out in the video above that as majority-white countries become minority-white countries like South Africa, there is no reason to think that the hatred of whites that is being preached world-wide today won’t cause the South African style of White Genocide to catch up with the immigration-and-assimilation style of White Genocide. Genocide is genocide, no matter how it’s done. “K-word” refers to a term used in SA for a black person. “I told her that I saw what she sent to her man but she refused to delete it and I came to the conclusion that this child was taught this behaviour at home,” said Mabuza. “I want her to be taught that in this country it is illegal to be racist and she must present her case to the Human Rights Commission,” Mabuza said. The spokeswoman for the South African Human Rights Commission (SAHRC), Gail Smith, said: “Any of the people affected by the alleged incident are welcome to lodge a complaint to the SAHRC to seek redress if they believe their rights have been violated. 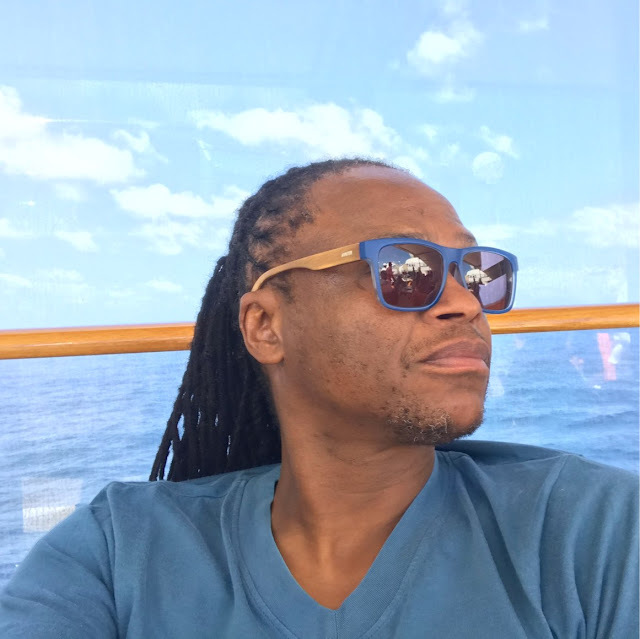 Alochna’s snoop seat-mate and accuser, Reverend Solumuzi Mabuza. “Coulored” in South Africa refers to persons who are mixed white and black, I believe. Or maybe any mixture that isn’t pure black. The [Ahmed Kathrada] Foundation’s Executive Director, Neeshan Balton, said that Moodley’s attitude was “repulsive and must be strongly condemned”. Balton added that the Foundation is in contact with Reverend Mabuza and will explore how to take the matter forward and possibly take further action against Moodley for her comments. (Btw, Mahatma Gandhi lived in South Africa for awhile). Well shucks. I was thinking of moving to South Africa and finding a nice little plot of land to farm. But if it’s a country where you can be tossed off a plane and lose your job just for using an unkind word in a private text that’s seen by a snoop looking over your shoulder, well maybe I’ll search out some other multiracial paradise.